Recently I had the pleasure of reading ctrl+alt+defeat’s first issue, "War", in which Dilyan Damyanov ponders the meaning of the phrase "War, war never changes." 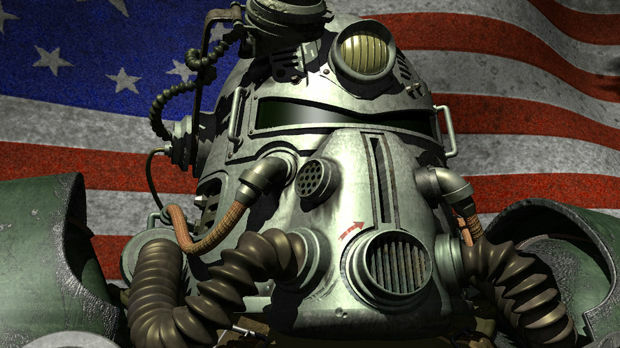 By taking the general events that occur in the Fallout timeline, Damyanov comes to the conclusion that the words are meaningless, because there is no underlying constant in the Fallout wars to validate the phrase. I will concede, albeit only a smidgen, that Damyanov is right... if we look at the conflicts in the franchise very broadly and literally. 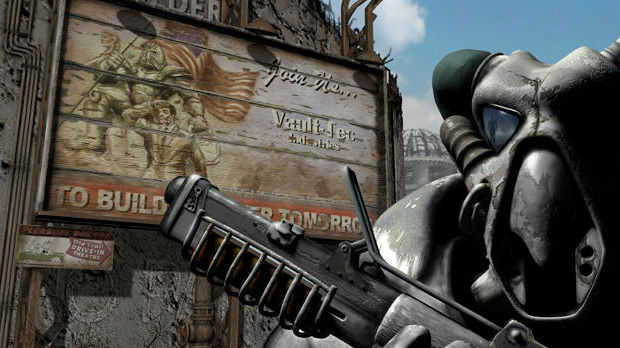 If we take a close look and dig into the story, though, we’ll find that that’s not the case at all, as the Fallout franchise has always had an intrinsic consistency that permeates everything in the games: absurdity. The iconic phrase almost inspires goosebumps when Ron Perlman says it, doesn’t it? 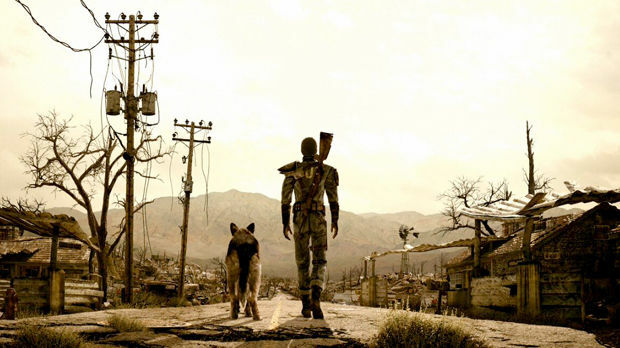 The words relay an infinitude of information regarding not just the world that the Fallout franchise occupies, but also functions as a stark critique of society and our ideals. Or so says my particular interpretation of the words, anyway. The theme of absurdity is obvious in the franchise’s depiction of culture. We have the chipper fifties retro-futurism of western culture-- which is that confidence that a Jetsons-like future is our destiny--contrasted with the ugly reality of the Fallout world. 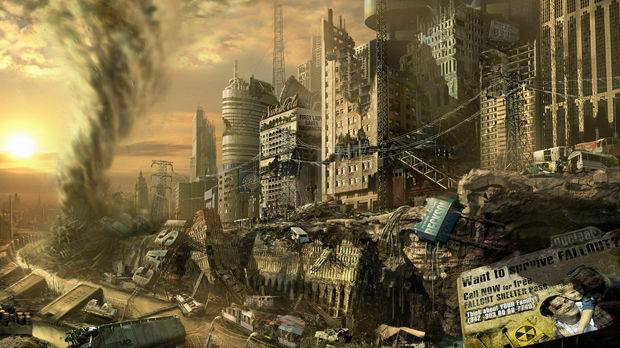 Instead of having these hopes for a futuristic empire of the great United States of America become nothing more than a semiotic phantom, Fallout postulates a reality in which we continue to be defined by that futurism. What's a semiotic phantom? Well, William Gibson describes a semiotic ghost in Burning Chrome as the "'Futuristic' thirties and forties architecture you pass daily in American cities without noticing; the movie marquees ribbed to radiate some mysterious energy, the dime stores faced with fluted aluminum, the chrome-tube chairs gathering dust in the lobbies of transient hotels…segments of a dreamworld, abandoned in an uncaring present.” So in the Fallout timeline, instead of that ghost being hidden away in the architecture of the cityscape or as a broken dream in the recesses of our cultural consciousness, we continue to embrace it, to allow it to define us as a culture. Nothing conveys the absurdity of this idea better than the intro cinematic of Fallout 1. The first time the words "War, war never changes" are uttered are during this cinematic, the screen flickers and crackles, but we’re soothed by silky, almost eerie lyrics of "Maybe", by The Ink Spots. The visuals go from an advertisement for the infamous Vault-Tec Vaults to a scene where government officials are "keeping the peace"over in Canada. They shoot one bullet, two bullets, into the back of someones head, and without missing a beat, a cackle ensues, they turn to the camera and start waving cheerfully. Then, we see a soldier in a power suit looking out into the horizon with the American flag swaying in the wind, and this transitions into an advertisement commanding us to buy war bonds. Nothin’ like some good ol' propaganda, no? The camera pans out, and we see that this advertisement is playing on a television set....which happens to be functioning in the remains of a destroyed city. Somehow. Not even a minute into the game and the juxtaposition of absurd patriotism (the cause of war) and destruction (the result of war) gives us the feeling that perhaps the price of war is too high to pay, perhaps, just perhaps, the principle behind war is idiotic and not justifiable in the face of consequences like these. You can draw parallels to the real world if you’d like--I’m sure there are many that would argue that there’s nothing worth the ten year war with Afghanistan, for example--but I speak primarily of the in-game politics. Of course, what makes the history of the Fallout universe so delicious is that arguably, its reality isn’t too far off from our own. "The Great War," refers an energy crisis where nearly every last bit of oil is depleted, resulting in global atomic warfare. It sounds like something that could happen to us, should we fail at finding an alternate energy source to oil, no? Playing through Fallout 2 might reveal that the specific reason for the nuclear holocaust wasn’t some government losing it and pressing the big red button, though. There’s a lonely AI in San Francisco called ACE who implies that boredom and neglect caused self-aware AI to launch nukes for their own amusement. Even if ACE’s absurd story is a dirty lie, the refusal by global powers to find and adopt an alternate energy source, their willingness to burn the world to the ground in the name of technological advancement, of war mongering and actively using the "big stick" speaks volumes on the ridiculous context that caused those series of events. Nail on the coffin? The advertisement prior to the propaganda makes it clear that the public was not only aware of what was going on, but actively encouraged it. Which is to say, the war in the game is in the same vein as war waged for avarice and lust, both of which cannot be said to be reasons for "just" war. That’s what I believe the phrase refers to: never changes because it is never justified. An unjustified war is an absurd war. The absurdity of this all is further implied when we take into consideration that the “Spoils of war were also its weapons.” War is being waged...so that more war can be waged. How stupid is that? The same can be said of the "war" we find in the game itself. 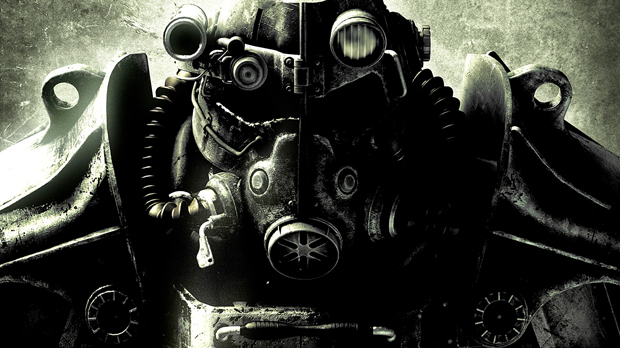 In the first Fallout specifically, the war between the super mutant army and humanity is the central conflict. Super mutants are a direct consequence of pre-war actions. West-Tek developed a series of technologies for the American government in the game, one of which included a drug that was meant to help defend against possible biological warfare from China. While the drug was successful in combating biological weapons, the side effects caused extreme growth in muscle and brain function. Naturally, these effects enamored the government, who then wanted to use the Forced Evolutionary Virus (FEV) to create super-soldiers. The experiment was never fully finished, but facility in which this all took place was later rediscovered by Richard Grey. Richard Grey is exposed to FEV and ends up becoming "The Master," who then decides on using the virus to create a master race of super mutants. While his intent was "noble" in that he wanted to evolve humanity into something that would be beyond misery, conflict and war, it is still misguided, and the parallels to Nazis is obvious. Thus the war between humans and super mutants can be said to be a result of absurdity on two counts: a deranged, insane villain, and the ridiculous result of previous war-mongering. 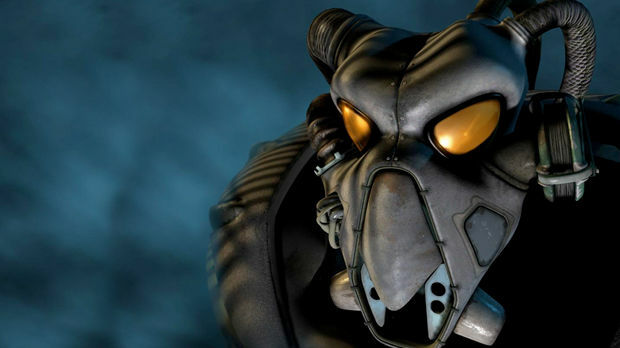 In Fallout 2, the central conflict is the war between the “government” and the wastelanders. The government, who now call themselves "The Enclave," want to reclaim the land that was once theirs. While some semblance of a government could be considered to be a beneficial thing, nobody has appointed these folks into office. They’re just the descendants of the people who were elected before the nuclear holocaust. Aside from that, the manner in which they want to reclaim what was once theirs is absurd: they want to remove all genetic "impurities" and create a society of those with a "pure strain." Now, let’s entertain the idea that maybe the wastelanders cannot be considered human anymore and thus do not deserve to live for a second. The reason they have mutated into "something" else is because of the government. It’s not just that the government caused the world to be so heavily radiated, but that the government toyed with the vaults and made them into experiments. The Vaults were not meant to allow people to survive and one day rebuild society. They were meant to be a social experiment, to see how people would react when under specific conditions. One Vault, for example, housed a single male and 999 females. While classification as a human is debatable for the wastelanders, they still have a willpower, are still capable of rational thought. Personally, when the future of humanity is at stake, getting rid of the bulk of its remains doesn't sit well with me. I'm no scientist, but I would imagine that having the mutations that allow people to live in a post-nuclear world is a beneficial thing? In any case, none of this matters to the Enclave, because to them, the wastelanders are nothing but lab rats. Here, too, the cause of war is absurd. In Fallout 3, it becomes more difficult to pick a "central" conflict. We have the war between the super mutants and humanity, which is similar to the war we see in Fallout 1. The storyline focuses mostly on the conflict between scientists who want to provide clean water for the population under "Project Purity," and the government, who still want to get rid of the "impure." The Enclave figure they can commit genocide by contaminating the same water that the main character's father seeks to purify. Here, there's not too much to be said that hasn't been said already -- the plot is a rehash of the conflicts we see in Fallout 1 and 2. And what do the people behind the game think? I contacted Chris Avellone, one of the minds behind the Fallout franchise, who most recently worked on Fallout: New Vegas . "The argument around here (well, mostly from me) is that 'the urge to make war' never changes," explains Chris. 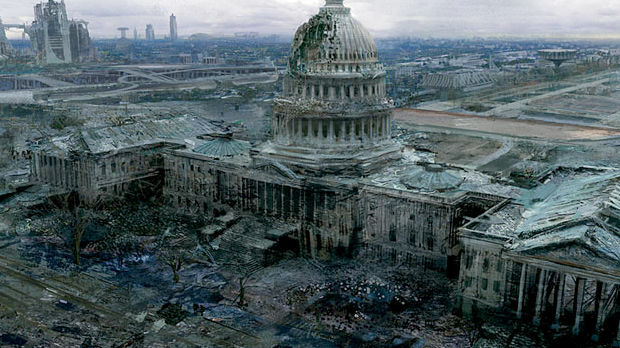 Of course, it's still worth noting that in some sense, 'War Never Changes' isn't much more than a tagline. "History has clearly shown us that yes, war does change. In fact over the past 20 years, the whole notion of war has changed dramatically, and the techniques have also changed dramatically. So it's a really nice tagline, but I don't feel it makes any sense logically." So it would seem as if it comes down to personal interpretation. This begs the question: what do the words mean to you?